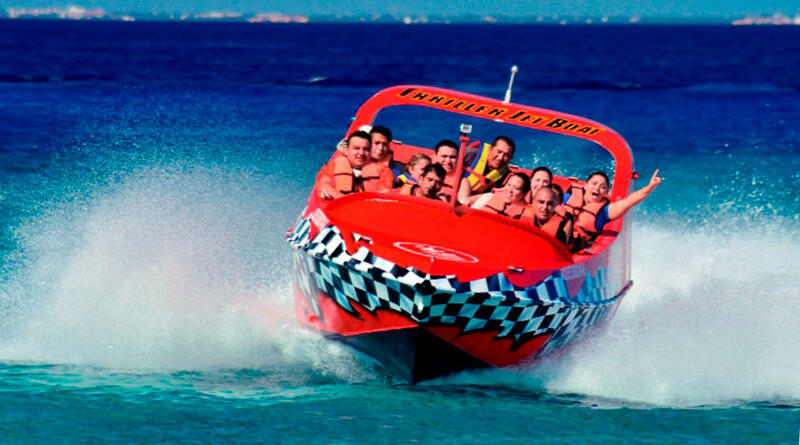 Our meeting point is Margaritaville located just one block away from the Punta Langosta Pier. Please arrive 15 mins before your scheduled tour. Save up to 30% on transportation (ground and ferry) from Cancun and Riviera Maya when booking with us. If you’re looking for the best Cozumel tour, get ready for Cozumel’s most thrilling experience, the world-famous jet boat ride, a breathtaking ride from the moment your captain steps on the accelerator, zooming through the turquoise Caribbean waters at speeds of 45mph for an unforgettable adrenaline rush. 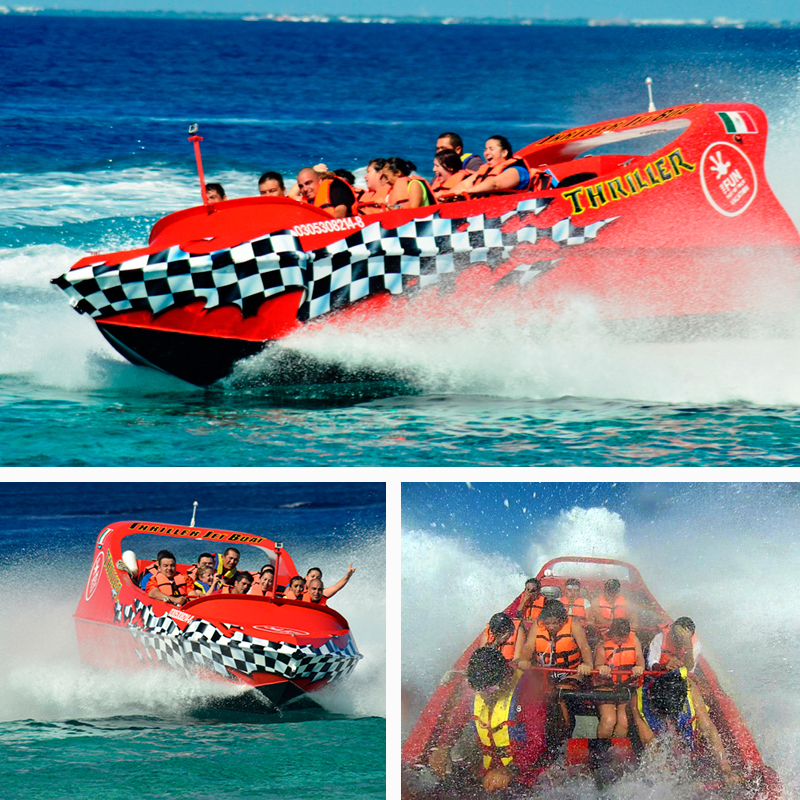 This exhilarating ride starts as you board the 700HP-powered jet boat that seats 12. While you buckle up, your captain will brief you on safety guidelines and hand signals for the upcoming action-packed journey. 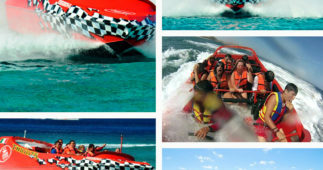 Once away from shore the fun starts! 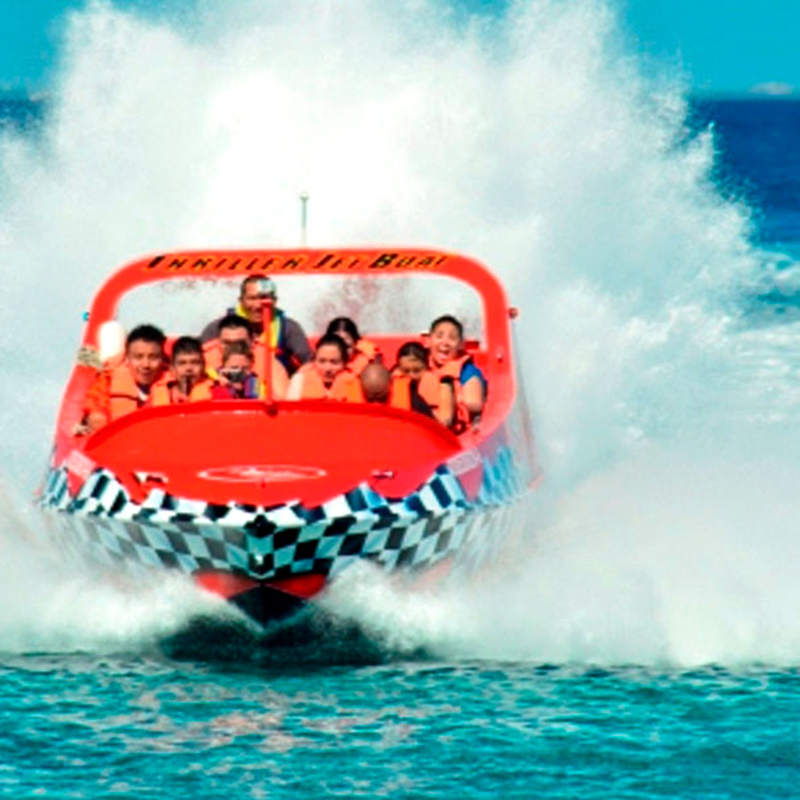 Make sure to hold on tight when your captain makes the signal for a 360° spin, when the jet boat quickly turns in a circle without losing momentum. 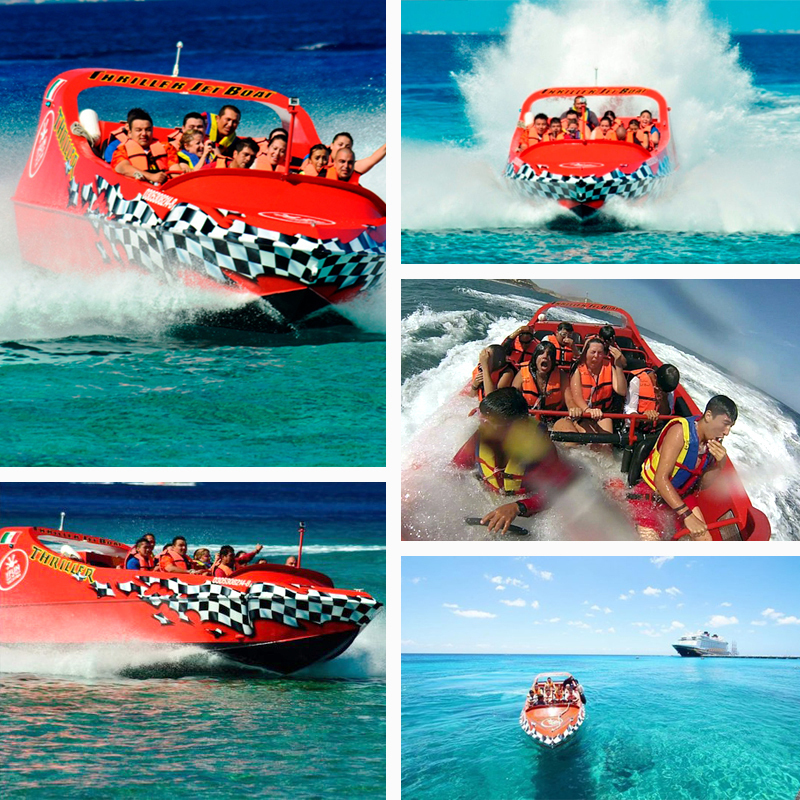 As you speed along Cozumel’s pristine waters, nourish your brain and heart with a healthy natural high that will make you feel great! 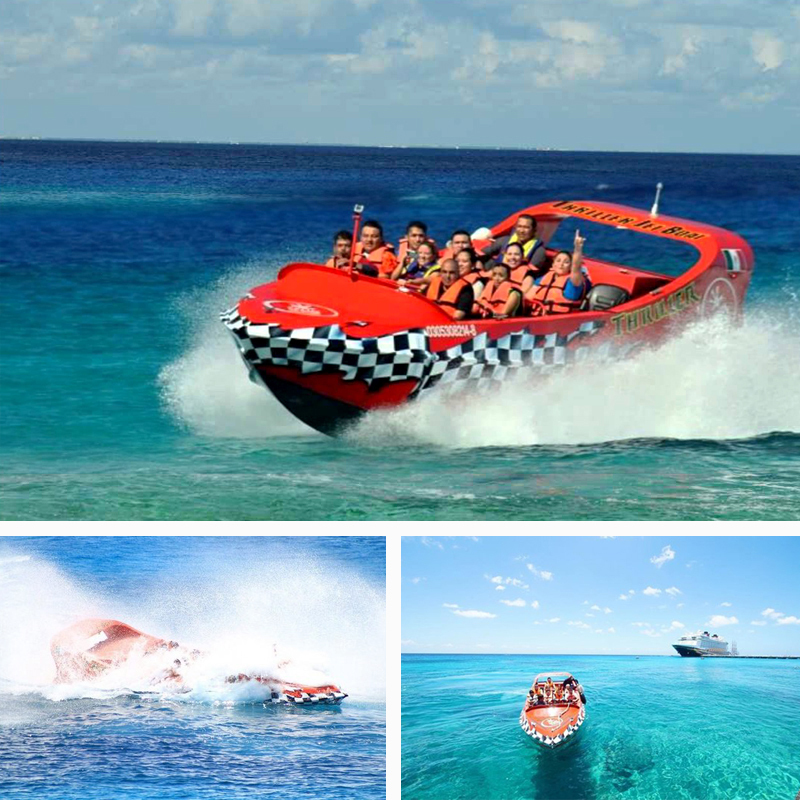 With all the many Cozumel Tours on the island there are some that are just above the rest and enjoying the Caribbean waters in thrilling fashion on the thriller sets this one apart from the rest of the other Cozumel Tours. 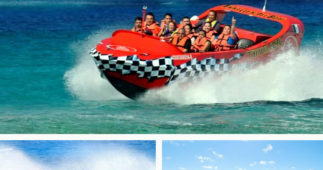 Any cancellation must be made with a 24 hrs notice. Less than 24 hrs the clients will be charged 50%. No shows will be fully charged and can be on a standby for any open space on the following tour. 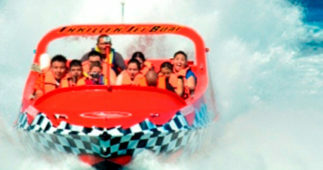 The jet boat ride is not for the faint of heart.